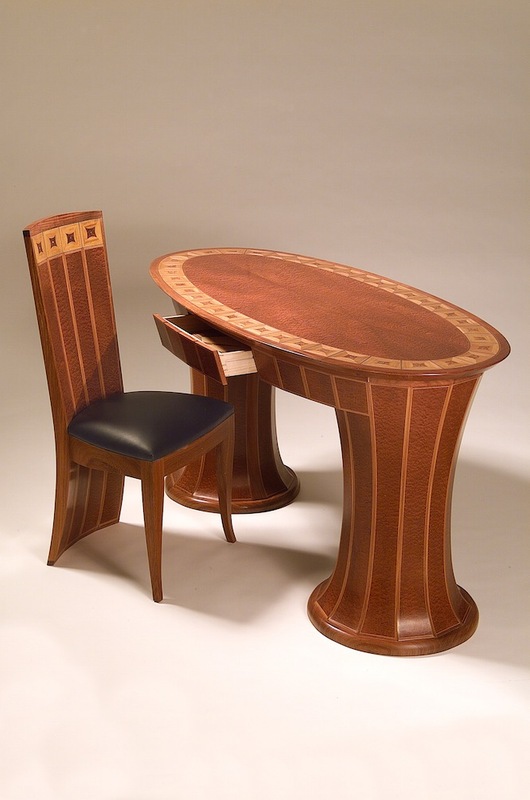 The Museum of Fine Art in Boston acquired Three Mile Island Desk and Chair a few years ago. It was made in 2004. The base of the desk mimics the twin cooling towers at the Three Mile Island nuclear power plant. These were a bit of a challenge to make. The parts were bent like barrel staves and then connected. 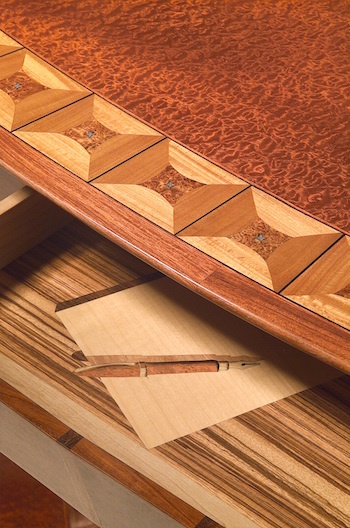 The basic wood is African quilted sapele with satinwood accents. The drawer has a marquetry fountain pen and paper.